Become more than a warrior, more than a protector. Welcome to the United States, 2089. A traitor revealed the secret development facility for Project Deliverance, triggering a surprise attack from HUMNX and forcing you to launch the mech before its completion. Rise up from the rubble, connect your neural link, and prepare for combat in this intense, cinematic VR arcade shooter. Take the fight to the enemy with twin PlayStation®Move Motion Controllers or DualShock®4 control. Fire an array of weapons on each mighty mech arm, or smash enemy units with your massive fists when they stray too close. You’ll need quick reflexes to react to flying and ground foes attacking in never-ending waves, but you’ll need tactics too: Each high-tech HUMNX enemy has a different vulnerability. Plan your upgrades carefully as you unlock new state-of-the-art weapons. Your choices could mean the difference between success…and destruction. Choose to be Gabriel or Gabby Walker, experienced combat ace, Archangel test pilot, and last best hope of The Free. You’ll fight more than HUMNX forces: You’ll face shadows from your past, reminders of the decisions that earned you the codename “Guardian” but cost more than you could bear. The newly forged mech AI, M1KL, experiences the world linked to your mind, seeing what you see, feeling what you feel. Together you’ll face overwhelming odds in a desperate battle to deliver this single Archangel prototype mech to the secret resistance facility Deep Mountain. Do you have what it takes to become the people’s deliverance? 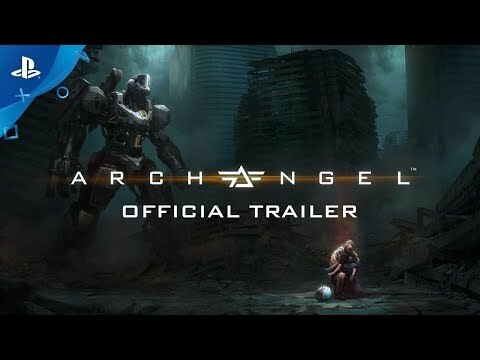 Archangel™ 2017 Skydance Interactive, LLC in the United States of America and elsewhere; Skydance™ and the Skydance™ Logo are trademarks of Skydance Productions, LLC in the United States of America and elsewhere. All Rights Reserved.